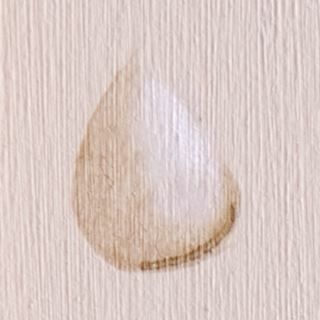 How to paint water drips on a vertical surface in four easy steps. 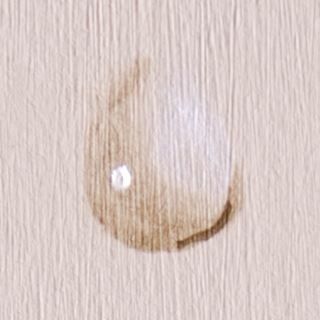 This little 8″ x 10″ painting has a lot of water drops. 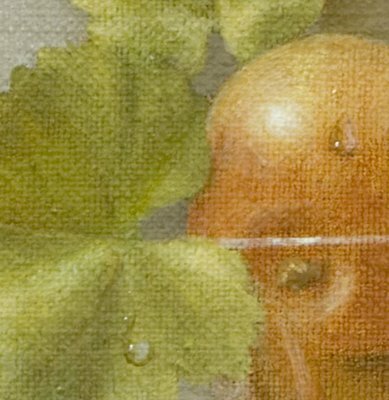 I add these details to a dry painting surface at the end. I posted the largest file allowed for this so you could see better detail if you click on the above picture. I use a dark color – raw umber works for me but any transparent dark will do. You are making the shape of a drip. 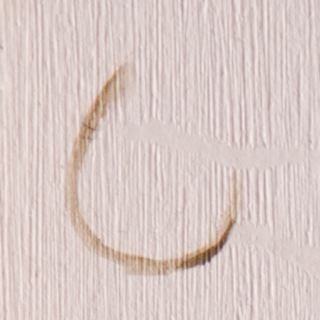 A drip will occur on a vertical or slanted surface. 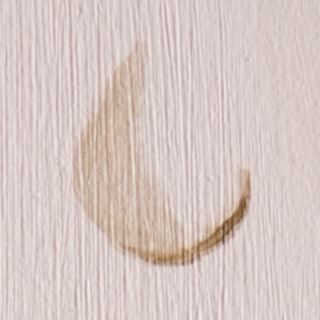 A cast shadow will be on the lower right (i.e., Darker). You will be looking through the water and it creates a soft shadow on the top left and the harder, sharper cast shadow on the lower right side of the drip. Light will be reflected on the top right and will define the top of the drop. I use Zinc White so the original color shows through. The light does NOT touch the shadow and we want to see the untouched color of the surface between light and shadow. Lastly, add a highlight in the shadow area. I use Titanium White for this as I want it to be clearly defined and opaque. 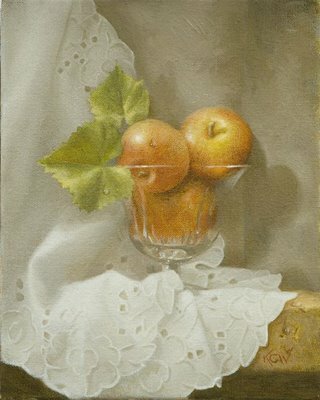 Detail (above) from Apples Still Life (below). Grab a cup of virtual coffee and stop by my Painting Studio to see what’s happening. Also come visit my Portrait & Landscape Galleries. 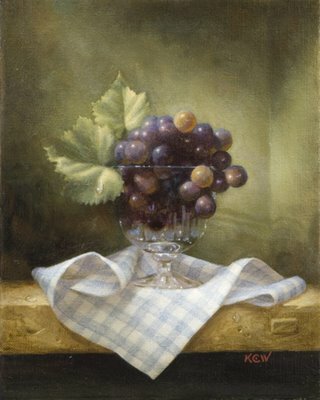 I hope you enjoyed this resource on oil painting for beginners by Karin Wells. Illuminating ! Its a technical detail whicha can always come in useful at some point, I love your painting, enormous talent, wonderfull, congratulations. 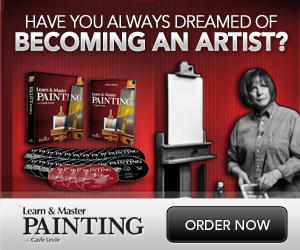 Thanks – I wondered just how to make those water drops – you make is seem real easy. Got to try it now. Wow, unbelievable paintings, you really deserve every award you have ever received. Thank you so much for sharing. Very very nice demonstration. 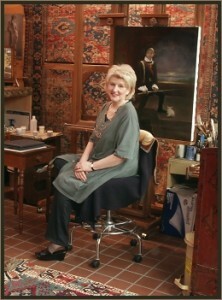 On top of this, her paintings are gorgeous. Very soft. The doily was done so nicely. If of any interest, this site also has tips on dew drops. Hi Karin! There is no question you are a genius! I’m willing to be like you. I learned it and I request you please tell me how to soothly go from lighter to darker shades especially when we paint a portrait. In pencil sketching pencil can be used easily by appling a little effort on pencil tip to get it but in poster colors or oil paints I can not make a smooth darker from lighter and lighter from darker. It is to be painted with pixels or patches on it. Can you help me? Your paint the drops of water seem so easy, Thank you very much but I am also interested in knowing if its possible to see how to paint stones submerged in the water.Thanks again. really..it is the best method to express feeling..thanx 2 help us. 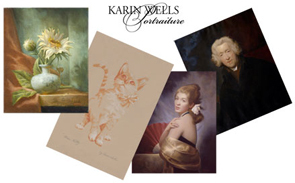 I dropped by again to go over the interview with Karin Wells. I know you often get this comment but I will say it – great post! Helpful, detailed and very informative! Your steps are simple and it helped my child with his painting. 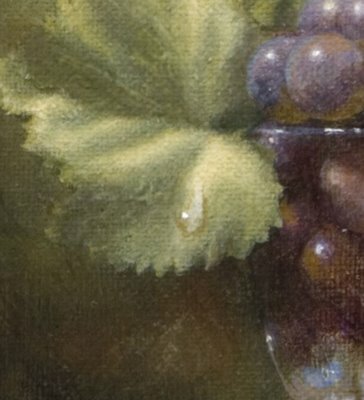 In order to understand the difference between a “bubble drop”,”running drop” and a”drip drop” I came across a video – http://www.jerrysartarama.com/art-lessons/Skill-Level/All-Ages/All-Ages-Dewdrops.html I think it might help others too.